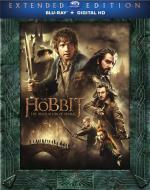 THE HOBBIT BILBO BAGGINS, THE WIZARD GANDALF and 13 Dwarves, led by Thorin Oakenshield, continue their journey to reclaim the Dwarf Kingdom of Erebor. Along the way, they encounter the skin-changer Beorn; giant Spiders of Mirkwood; Wood-elves led by Legolas, Tauriel and King Thrandull; and a mysterious man named Bard, who smuggles them into Lake-town. Finally reaching the Lonely Mountain, they face their greatest danger - the Dragon Smaug. This is a great continuation of the story. I was once again glued to the screen through-out the film. And once again... the visuals was simply amazing. I absolutely loved the dragon in this one. It was very cool how he was done. I look forward of seeing more of him in the final movie... which I so can't wait to see! Long ago, Steve Rogers (Matt Salinger) was a true American hero, a brave super soldier created by scientists to help the Allied Forces fight for freedom in World War II. But during a battle with the sinister Red Skull (Scott Paulin), he was lost, entombed in ice. 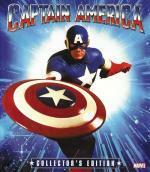 Decades later, his body has been found and revived and Steve must again don the mantle of Captain America to help save the President of the United States (Ronny Cox) – and the world – from his arch-nemesis once and for all. For the first time, director Albert Pyun's cult classic is presented in widescreen and in astonishing high-definition! I first saw this film on DVD last year.... It took me just over a year but I finally found a blu-ray copy cheap enough to purchase. I am glad I finally tracked down a copy... as I enjoyed every minute of it. I found it to be just plain fun. Though I would have liked to seen Captain America in his uniform more during the middle of the film... that is just a minor complaint. Sure this is a bit on the cheesy side but sometimes that just adds to the fun of it. I found it to definitely be worth the time put in to watch it. Forensic anthropologist Dr. Temperance "Bones" Brennan teams up with FBI agent Seeley Booth to investigate the murder of a Senate intern, the political implications of which may prove to be staggering. Love this show! Think the cast really works well together. This was a great introduction to all the characters. It has been a while since I seen the early episodes of this series. After watching this pilot again it showed me just how much the characters has evolved over the years. Jack Nicholson is the Joker, who emerged from a horrible accident as a maniacal criminal. Michael Keaton is the Caped Crusader, who emerged from a childhood trauma to become a masked crime fighter. Kim Basinger is Vicki Vale, the talented photojournalist desired by both men. 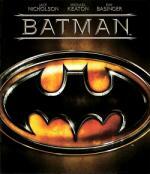 And Batman is the movie, the all-out spectacular directed by Tim Burton, set to songs by Prince and a music score by Danny Elfman, and an Academy Award® winner for Best Art Direction/Set Decoration (Anton Furst and Peter Young). I watched this one the other day. It has been years since I seen it. But that is probably due to the fact that they ran the heck out of it when it was on cable.... and even I got sick of seeing it when flipping through the channels and such. But it is a good movie... I enjoyed it quite a bit. Definitely glad I finally decided to revisit it. I am actually having a hard time excepting this film is now 25 years old! I think Michael Keaton did a very good job portraying both the Batman persona as well as Bruce Wayne's. I was also pretty impressed with Jack Nicholson's version of The Joker.... though I do admit that Heath Ledger's version felt much more psychotic. I think the story itself was well done. If like me and you haven't seen this one in years, give it a go... it is worth the revisit. With all the heart and humor audiences expect from Walt Disney Animation Studios, Big Hero 6 is an action-packed comedy adventure that introduces Baymax, a lovable personal companion robot, who forms a special bond with robotics prodigy Hiro Hamada. 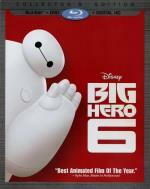 When a devastating turn of events catapults them into the midst of a dangerous plot in the streets of San Fransokyo, Hiro turns to Baymax and his diverse group of friends – adrenaline junkie Go Go Tomago, neatnik Wasabi, chemistry whiz Honey Lemon and fanboy Fred – who transform into a band of unlikely heroes. Bring home Disney's Big Hero 6, featuring comic-book-style action and hilarious, unforgettable characters – it's fun for the whole family! I just finished watching this one. I must say, it is such a cute movie. I enjoyed it very much. But not only is it cute and fun... it is also a right sad film. I do not want to spoil anything here... but if you never read the comic this one did the right thing... it did not give too much away in the trailer. Matter of fact... I was expecting a much different film going by the trailer. This is one I definitely recommend checking out. Darkness, mystery, legend – these are the whispers that echo through time regarding Atlantis. A kingdom long since forgotten to surface dwellers, it is here that a hidden empire teeters on the brink of war. When a military submarine traversing this remote domain is attacked, Cyborg plunges to the murky depths to investigate the wreckage. What he encounters is a threat powerful enough to rally together the newly formed Justice League. Meanwhile, thousands of feet above the ocean floor wanders the lone drifter Arthur Curry, a man with strange powers who may be the last chance to bridge the ancient Atlantean world and our own. Superman, Batman, Wonder Woman and the rest of the Justice League as they face off against Orm, otherworldly weapons and perilous odds. It's an all-new, epic chapter from the DC Universe in which mankind's only hope from the darkness rests upon the guiding light of man – Aquaman! I once again really enjoyed an animated superhero film. Of course this is of no surprise to the people that know me. I have always been a big fan of anything superhero related. Though I must admit, while I did like him, Aquaman was never a huge favorite of mine. Though I do think they did this back story of him well. 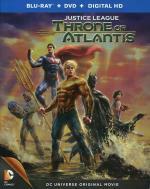 But I must admit where they drew all the Atlantian males with long sideburns seemed to be an odd choice. It was like they were all stuck back in the '70s. Other then that a good film with lots of action. I feel comfortable recommending it. We decided to watch this one tonight. Which was a pleasure... as this is my type of film. A disaster film and true story. It is one I enjoyed very much. There was a couple familiar faces in it. One of course being Richard Chamberlin. The other was Catherine Mary Stewert who I enoyed very much in the '80s horror "Night of the Comet." If you never seen it, this is a TV Movie I would definitely recommend. It is one I hope to add to my own collection before too long. "Something Wicca This Way Comes"
Reunited in the grand Victorian home of their childhood, a trio of sisters, Prue (Shannen Doherty), Phoebe (Alyssa Milano) and Piper (Holly Marie Combs) discovers they are gifted Wicca witches. Little do they know that their newfound powers mean that they are now prey to evil forces. This is one of my all time favorite series! I have seen not only this episode.... but this entire series countless times. Though this is the first time I got to see this disc on a high-def TV... making me realize that these discs don't look as god as they should. I would so love to see a blu-ray release of this series! But I love the show and it was a lot of fun rewatching the pilot episode again. Juno MacGuff (Ellen Page) is a cool, confident teenager who takes a nine-month detour into adulthood when she's faced with an unplanned pregnancy. 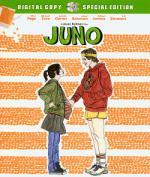 With the help of her timid boyfriend (Michael Cera) and supportive family, Juno embarks on a hilarious and heartwarming quest to find the perfect parents for her baby. This is my second time I seen this one... and I must say I enjoyed it this time more then I did the first time. I think it is mainly because I didn't know what to expect the first time around. I think that Ellen Page was great in this movie. While I have liked Jennifer Garner since first seeing her in Alias... I wasn't all that impressed with her in this movie. I don't know... maybe it was just the character she had to work with... but I was a bit disappointed in her this time. Over-all it is a good story that kept my interest through-out. From Thomas Harris' novel, director Jonathan Demme explodes and reconstructs a classic genre, laying a foundation of emotional and political commitment beneath a perfectly constructed psychological thriller. Fourteen years after her controversial role in TAXI DRIVER, Jodie Foster finally makes the transformation from helpless victim to rescuing hero in this dark, gender-bending fairy tale on an American obsession: serial murder. 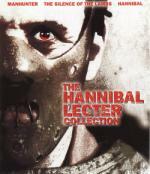 As Hannibal "the Cannibal" Lecter, Anthony Hopkins is the archetypal antihero—cultured, quick-witted, uncontainable—a portrait of all the sharpest human faculties gone diabolically wrong. Winner of five 1991 Academy Awards®, including Best Picture and Best Screenplay Adaptation for Ted Tally. I have loved this movie since the first time I ever seen it back when it was first released in the early '90s. I have watched it countless time both on VHS and DVD.... but this is the first time I got to see it on Blu-ray! Both Jodie Foster and Anthony Hopkins were excellent in this one. This movie is the one that truly made me a fan of Jodie Foster. Even after countless times of watching this movie... it still has me glued to the screen with such an excellent storyline. If you have been living in a cave for the past 25yrs and never seen this movie... it is one I couldn't recommend any higher! It really is a must see movie! Lord Rayden (Christopher Lambert) has rescued them, but he cannot fight for them. 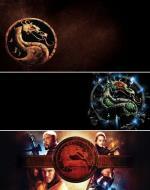 They – are martial artist, an action film star, a soldier – are the chosen three. And while the world's fate rests on their shoulders, the rest of us can enjoy the thrills as they compete ti save us all in the body-slamming, mystical-tinged, full-tilt spectacle of creatures and conflict that is Mortal Kombat. Paul Anderson (Resident Evil: Afterlife) directs this astonishing and trendsetting experience that showed how to turn a smash-hit video game into a movie smash. Cheer these intrepid three Kombatants – they're fighting for you! It has been years since I seen this film... and I must say I enjoyed revisiting it! I use to love the game as a teen and watching this movie again today makes me want to play it again so badly! I find it fun to see some of the game characters come to life here. This one has good martial arts action with a supernatural twist. Definitely recommended. When quick-witted slacker John Winger (Bill Murray) loses his apartment, girlfriend and job all in one day, he decides to embark on a new adventure: he joins the US Army, nearly starting WWIII. 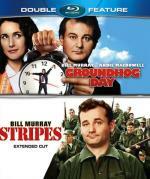 As you can see by the cover this film is part of a Bill Murray double feature along with Groundhog Day. I found this movie to be just as much fun as I remembered it to be. A good solid '80s comedy. One that I would recommend everyone to see at least once. 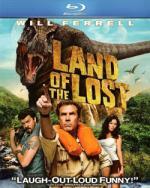 This film had me literally laugh out loud more then once. The film has a lot of familiar faces in it as well. So if you have never seen this one... put it on your list. And if you have seen it before... maybe it is time to revisit this classic comedy. London 1891. 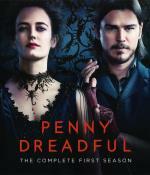 As the police investigate a series of gruesome murders, renowned explorer Sir Malcolm Murray and the strangely beautiful Vanessa Ives know there's something darker at play. In search of someone close to them who has been lost, they recruit American sharpshooter Ethan Chandler and Dr. Victor Frankenstein to help them on their journey. This one was a blind buy when I found the blu-ray release cheap at a pawn shop. So I didn't know what to think going into it. But I must say... I enjoyed every minute of this one. Of course it didn't hurt that the pilot episode had vampires in it... and I must admit... a very interesting take on vampires at that. After watching this pilot episode (and episode 2)... 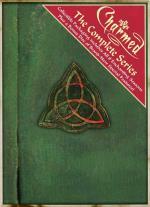 I can't wait to continue on in the series. I am just sorry to see there is only 8 episodes in the first season. Rescue Lex, avoid Lana's killer green necklace, stop an avenging scarecrow man and don't reveal your powers to anyone. Who says being a teen hero is easy? Clark also learns he's not exactly from the neighborhood. I always really enjoyed this show... it was one of my favorites. I been in the mood to watch this series again for a while and watching this pilot episode was all it took to get me going again. In just one day I have already made it half way through the second disc. I think the pilot episode sets this series up well. All the characters in the series is likable... even at this point Lex Luthor. But watching him go from a likable character that truly wants to do good to the criminal mastermind that he becomes is, in my opinion, one of the things that draws you into this series.